What about the Bixby Voice? Samsung's new and improved digital assistant, Bixby had garnered quite a lot of expectations from Samsung fans and other flagship phone consumers around the world. However, Samsung botched up Bixby at its Galaxy S8 launch and disappointed potential buyers and those interested in the AI assistant big time. Anyhow, now after about two months since the Samsung Galaxy S8 launch, it seems Bixby Voice is finally ready. So let's take a look as to whether it is really ready and if it is a good option for you to have! Bixby Voice is Coming; but only for U.S.
Yeah! While the Bixby Voice is available in Korean language for those in South Korea, Samsung has released the beta version of its A.I digital assistant, available only in the United States. While Bixby is truly one of the most complex AI built up to date and has a huge potential to even supersede the Google Assistant, (which is as of now the best Digital Assistant) because it is supposed to support any function a person will be able to perform through touch and voice. It has loads of other features too (about which you can read here in detail) which sets it apart from its other contemporaries. As such the delay can be understood. Still, the race of smartphone manufacturers to produce more and more powerful handsets had never been this strong as it is now, with companies pouring millions of dollars to supersede the present gen phones with their own devices containing more powerful hardware. As such, the Samsung Galaxy S8 seems to have its days numbered. 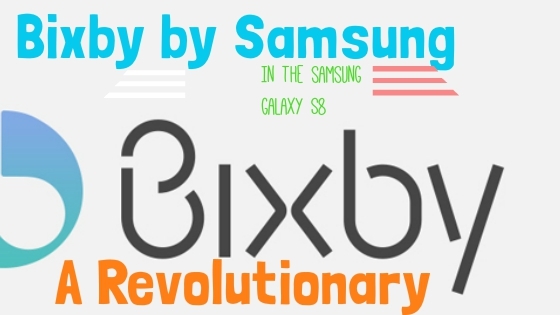 So, those who bought the Samsung Galaxy S8 because of its digital assistant i.e., the Bixby shall be in for even more disappointment. Anyhow, if Bixby could just be able to be fluent in English, that would be enough for most people (however it may take even longer to understand the different English accents around the globe). Bixby is turning out to be a Failure? Even though Samsung has started its initial Bixby roll out, allowing users to pretest the A.I assistant, only Samsung’s own apps and a handful of other apps like Uber and YouTube support it. Other than that, the assistants flat. but hey! Others may be a little “more choosy”. Anyhow, if Samsung doesn’t speed things up a bit, then people’s excitement (however little they have left) will die out! After all, you gotta strike the iron when it’s hot! Check out the post on the best AR apps that you need to try!